Add Union Avenue west of the BQE to the list of Williamsburg streets where massive change will be coming in the next 12-24 months. The building pictured above is 544 Union Avenue. It was sold in December for $13.1 million to the Coby Group LLC. 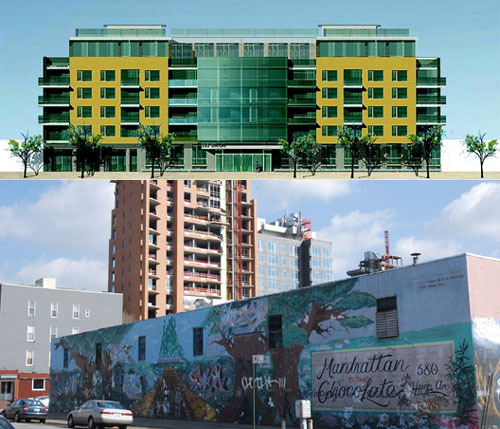 Documents also identify the new owner as McCarren Park Condominiums. 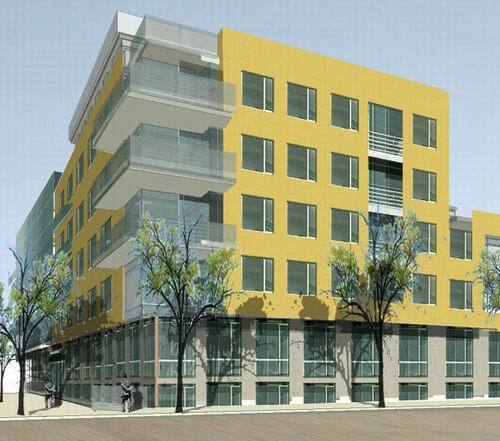 There aren't any renderings of the new building nor have any permits been applied for or issued. The building is across the street from another property that could soon be demolished and developed into condo. 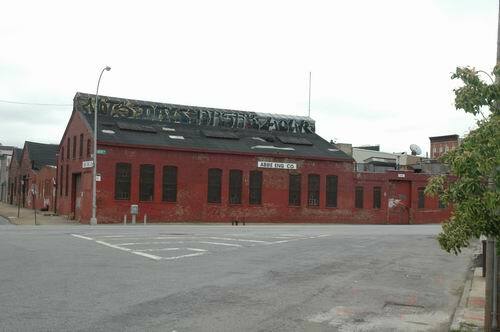 That site, which is pictured below along with renderings of the possible new building has the working name of McCarren Park Estates and would go up on the site of the old Manhattan Chocolate facility. It would be six-stories tall and have 121,000 square feet and 62 apartments. Plus parking for 44 cars. Initial plans, however, have been rejected as of late February. Architect is Kutnicki Bernstein. Oooohhh... I really hope this happens - there aren't enough condos in this area of kings - i mean oops - kondo county! Coney Island Issue Reaching Critical Mass?